At a recent invite-only developer meeting, Twitter announced several updates to their “Cards” feature. Judging at the surface of where this appears to be heading, there may be an interesting offering for folks interesting in sharing and consuming real estate content. In short, Cards offer the ability to expand the content of a particular tweet. Usually, this expansion includes rich content such as photos, videos, articles, and music. Cards allow deep-linking into web pages and mobile apps. Using an aforementioned Gallery Card as an example; if a user tweets out a photo gallery, others can click and move seamlessly into the original web or mobile app that produced that gallery. More importantly, from a mobile side, they give the user who discovered that gallery, a clear path to download the respective app on their device. Most people associate real estate as something people search. I tend to agree with most people. However, I also believe that discovery shouldn’t go overlooked when it comes to the future of information consumption; especially in real estate. This may be an opportunity to leverage Twitter as a discovery engine to reach potential home buyers, or to capture the interest of those simply interested in the “entertainment” aspect of real estate. There is a certain level of markup language required to use them, so make sure you have a someone available to implement and maintain it. Focus on mobile. If you haven’t bought into the fact that mobile is the future of everything, Cards aren’t for you. 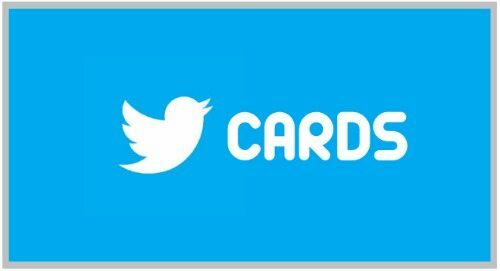 If Cards are used appropriately, you can drive unprecedented amounts of traffic from Twitter to your mobile app. Stay tuned for more updates on the Twitter front. I’m very curious to see how this plays out.